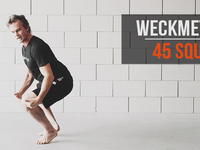 The WeckMethod 45™ is a stance position that enhances performance across a multitude of workouts. 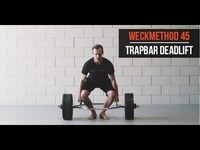 The feet positioning at a 45 degree angle provides you with the proper ability to load the ground effectively. It is imperative to the technique to match the angle of your spine with the angle of your shins. 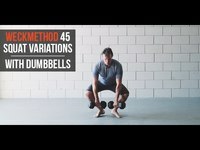 These videos will show you how to incorporate the WeckMethod 45™ as the foundation of several different exercises.